Why You Need To Clean Your Display Units Now! When you need to clean your display units isn’t an easy or a quick task, however, I don’t remove everything from my display units every time I clean. This would increase my cleaning time and being honest I just don’t have the time to clean this way anymore. Yes, I used to take everything off and clean everything before putting it back every time I dusted, which was probably 3 times a week, if not more. Now I have cut back on the cleaning and dusting but I still want a clean home, so when I am dusting the house it literally takes me 20 minutes maximum, but I am not doing a deep clean, I am taking off the surface dirt. I know I am not the only one who cleans quickly to get rid of the surface dirt, knowing that when the time is right I can do the deep clean and get things clean. I thought of myself as a failure if I didn’t do a deep clean every time I dusted, I thought I would be seen as a bad mother and so while my children were little I made sure that no matter the time of the day if it was a cleaning day I cleaned. I look back now and think how over the top I was, I could have done more with them instead of worrying about the last time I dusted. Now, I dust still the same amount during the week, but it is a quick dust, it is nothing major and then plan the deep cleaning, so I am only tackling one area with a deep clean at a time instead of the whole house. I find display units the most annoying area to clean so I have a little checklist to make sure that I tackle all areas. I like to gather all the tools I need so I am not running back and forth for supplies. Cleaning fluid, this is a personal preference and for me it depends on what I am cleaning if it is my daughter’s room I am not allowed to use white vinegar in there, as she doesn’t like it! Therefore, for her room I use a furniture polish and the rest of the house I use a white vinegar solution diluted with water. Vacuum, I like to clean the floor after I have finished removing any dust. I clean items as I am removing them from the display unit, I take everything off and this allows me to clean the unit. One of my display units has a dip in the shelving; this is to allow the standing of plates, however, this makes cleaning the shelves more work! I use a cotton bud to clean; I have found this the best solution and the easiest to keep the area clean. I use the same principle for cleaning to start at the top and work my way down, for this I need the steps, I am too short to reach the top, so to do this safely I use steps. The tops of my units, I can’t reach very well even on steps, so I cheat a little bit, I use my vacuum to clean the tops of the units, it isn’t always perfect but as long as the dirt isn’t building up then vacuuming is easy for me. The rest of the display unit I clean by hand, using the micro fibre cloth and the white vinegar solution. I use minimal amounts for the cleaning and after I have cleaned shelving as well as all visible wood, I change to a clean dry microfiber cloth. 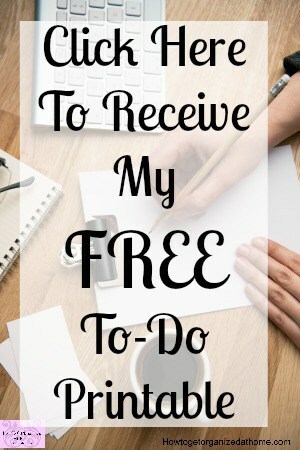 I go over all surfaces with the dry cloth to make sure that there is no residue left behind. Each item that goes back onto the display unit, I wipe again and positioned, I never put the items back in the same place; I like to change the items around, as it makes it feel like new again. 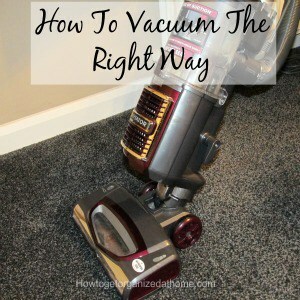 Before finishing, I vacuum the floor picking up any dirt or dust that has ended up there if you want more information on how to vacuum correctly check out this article on the subject. This is a personal preference and something that will depend on the time you have available and how many areas you need to schedule in a deep clean. I have found that I display fewer items and this helps with the speed at which an area takes to deep clean. Meaning for me, some areas I deep clean more often than areas, which are more difficult to deep clean. However, I have found that with most things a deep clean is not essential every week and every couple of weeks will suffice as long as you are keeping on top of the surface dust. Therefore, it is important to know how to deep clean different areas of your home and how often you need to do this. It is important to clean your display units regularly, but you might not need to do a deep clean every time you dust. Gather your materials before you start and remember it will never be perfect so stop trying! What is your best tip to deep clean your display units?